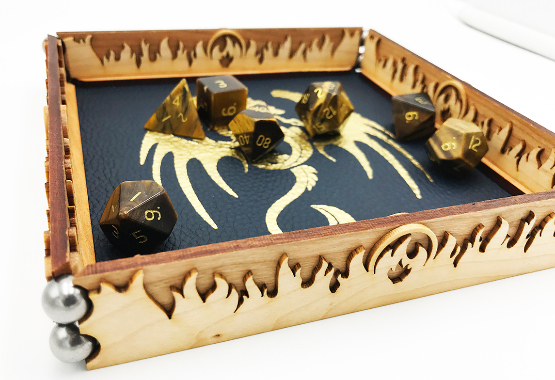 The new Scroll Dice Tray is in our lineup! "Okay, why is it so awesome?" Unlike a majority of dice trays - this one is designed with travel in mind. It assembles in seconds and lasts the length of your game. When you're done, just roll it up and take it with you! And like all of our products - they're backed by our 45 DAY UNCONDITIONAL MONEY BACK GUARANTEE. If for whatever reason you do not like it. Simply shoot us an email with a quick explanation on why then ship it back to us. As soon as we receive it we'll deliver you a prompt refund. 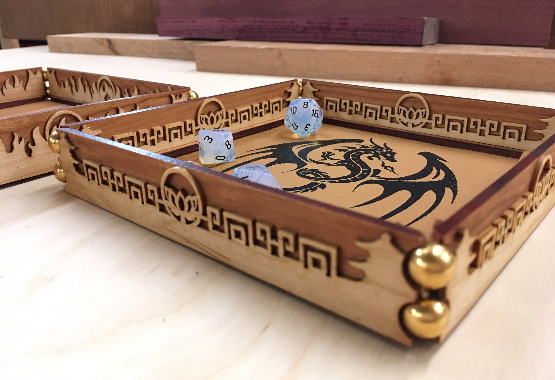 THE SCROLL DICE TRAY IS SERIOUSLY ONE OF THE NEATEST PRODUCTS WE'VE CARRIED. The Scroll Dice Tray. Check it out. WHEN DICE FUMBLES HAVE YOU ON THE ROPES. 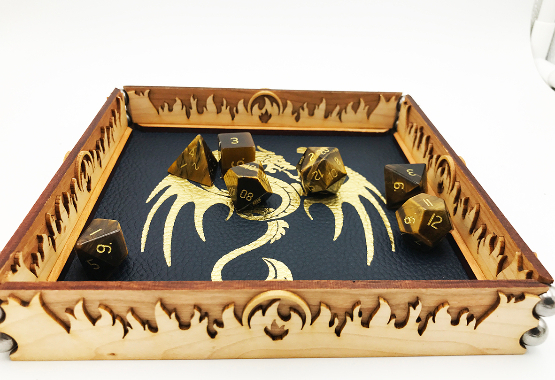 Meet Scroll, an ancient, leather-bound dice rolling tray that rolls up like its namesake. Beautifully decorated with finely-cut flourishes on all sides, Scroll features a stunning combination of utility and style. CUSTOMIZE YOUR SCROLL TRAY TODAY!